LAHAINA — Pete McPartland watched the Tournament of Champions at the Kapalua Plantation Course long before Sentry Insurance became the title sponsor a little less than a year ago. 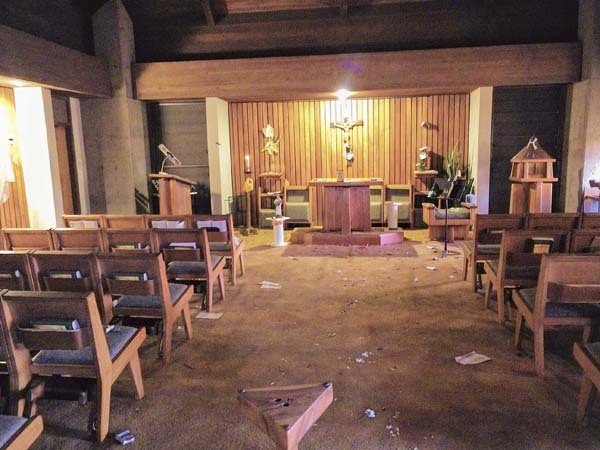 In that vein, McPartland unveiled a symbolic check on Tuesday for $312,430 that will go to Maui charities, all of which were represented at a ceremony under a baking West Maui sun. Less than two months later, Sentry was on board as the official title sponsor of the winners-only event that has been held at the Plantation Course since 1999. 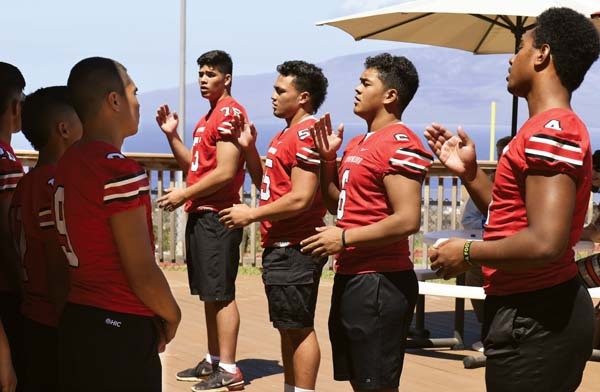 Several Lahainaluna football players were on hand in uniform and performed the school’s alma mater for the festivities on the “Luna Lanai” area of the stadium where a new $100,000 concession serving area is under construction. Joshua Tihada, a junior-to-be running back whose fifth rushing touchdown was the game-winner in a 75-69, seven-overtime win over Konawaena in the Division II state championship game last November, said he is also thankful for the support from adults. Tournament Executive Director Nancy Cross said the amount of charitable donations on Maui has surpassed $6.6 million since 1999. 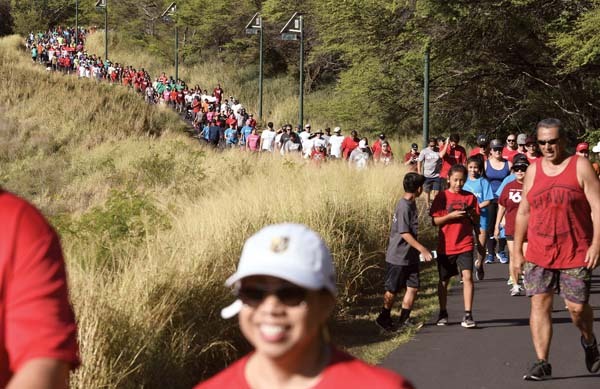 The main beneficiaries are Boy Scouts of America, the Friends of the Children’s Justice Center, Hale Makua Health Services, the J. Walter Cameron Center, Ka Lima O Maui, and Lahainaluna High School Foundation. A breakdown of funds to each group wasn’t available. * Robert Collias can be reached at rcollias@mauinews.com.